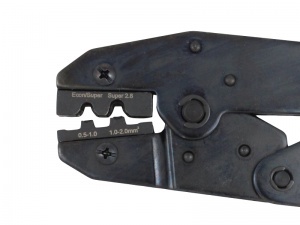 High quality ratchet crimping tool with a die specifically designed for crimping Superseal (1.5 & 2.8 Series) and Econoseal connector terminals. 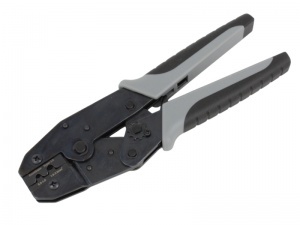 Superseal and Econoseal rubber cable seals need to be retained by the rear tabs of the terminals to keep them in the housings, but with other tools it is easy to over crimp and split the seal, potentially letting in moisture. It also ensures that the terminals do not become deformed during crimping, which can make assembly into the housing difficult. 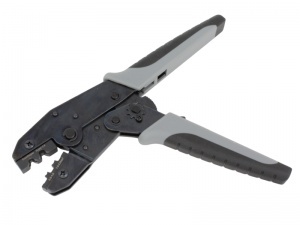 This tool ensures a perfect conductor and seal crimp every time with the ratchet mechanism ensuring the jaws cannot be released until a full crimp has been made. Features spring return and cushioned handles for comfortable repeated use. Very well made and easy to use. Makes the job of crimping so much easier to do. Would thoroughly recommend. 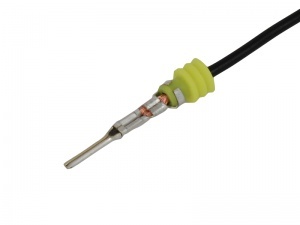 Very useful tool make a perfect seal / crimp . For years I have been using the wrong tool now wishing I had bought them sooner .